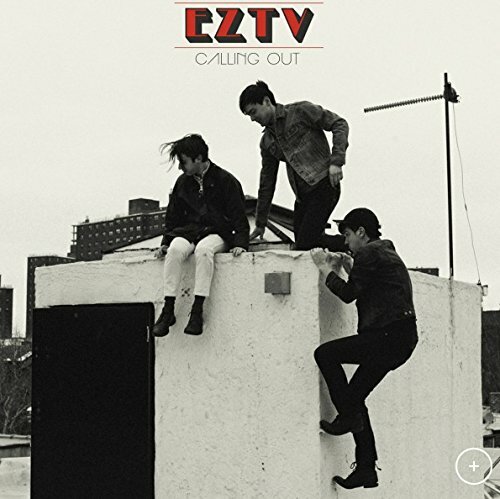 Similar in sorts to acts like Cleaners from Venus and Shoes, Brooklyn's jangle cool cats EZTV place on our meal table; High In Place. The endeavours by frontman Ezra Tenembaum - vocals, guitar, sound engineer and co namely Shane O'Connell - Bass and Michael Stasiak - Drums. Have taken things up a gear since last year's Calling Out album, in not only taking the step to produce this collective 10-track treat themselves, but have recruited guests including amongst others, John Andrews of Quilt, and Martin Courtney plus Matt Kalman of Real Estate. A 12-string guitar on here and most of the album really adds to the bands' kudos, the intertwined vocal harmonies are flawless, bass and drums - simply immaculate, other instrumental insertions of various textures and harmony. Steering us on the jovial jangly highway, 'High Flying Faith' if it can be said echoes The Byrds and America in its simplicity and definite hypnotic draw. There is some suspense inducing mandolin lines here, which add to the drama created. The whimsical romanticism ingrained within 'Racing Country', maintains a spritely speed with drums and guitar leading the way. It oddly looks at how things have "been racing to a stop", a bit of a relationsip breakdown. In reduced speed, though with a more country-rock presence sees 'Reason To Run', advises of hopes dashed and no direction to another relational journey. The 60s Beat-tastic 'Clear' looks rescuing a fragmented relationship, raspy fuzz guitar licks, there is some wavering synth lines that give the song an explorative edge. The beat vibe goes on later with 'Still'. The chorus rich acoustic guitar has 'States Of Confusion', and still it rings loud over a contrary message of aimless fear. The floaty leaf 'Hammock' full of whatever-man musings, and the lush offbeat groove kicks in Led Zeppelin 3 meets late-era Beatles on 'Temporary Gold'. It features a clever high-end-to-low-end suspension leading to the word ''Gold''. Followed by the looped chord progression featuring some graceful piano on the hopeful Fleetwood Mac-ish 'How Long It's Gonna Be', and lastly a psych album farewell to that well known first time period of the day 'Goodbye Morning', which truly mixes The Eagles and CSNY, and additionally throws in a collective choir chorus. What is to be noted on High In Place, is that there are hidden contemporary references and equally familiarly vintage sounds, and this has a big influence from its guest artists in-tow. It was obvious the comparisons to Real Estate are evident, thanks to some Martin Courtney pining, using great insightful reflective songwriting, and genuinely makes the album a worthy successor to Many Moons.